All exhibits and displays in the Library are scheduled by staff. Every October the Gallery is set aside for artwork by Woodridge residents. Each artist may display up to three items. Guidelines and applications for the Woodridge Show are available beginning September 1 at the Circulation Desk. Displays within the Library are used to promote the use of library materials or programs. These displays may feature library materials on issues of local, national or global import or on cultural, recreational or educational interest. The Library also regularly displays art work by students in District 68 schools. 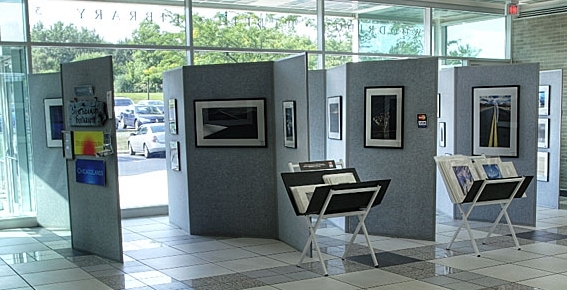 Junior high art work is displayed in the Adult & Young Adult Department, and elementary grade level artwork may be seen in the Children’s Department.